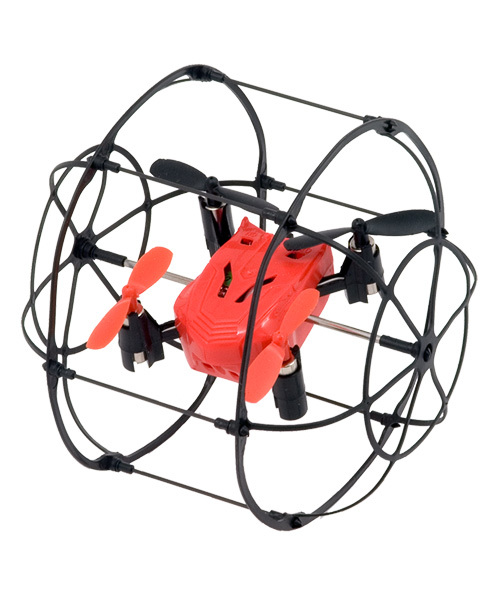 All terrains welcome with this advanced quadcopter in a rolling protective cage. This quadcopter is packed with features and maneuverability that will impress. Turbo Runner climbs up walls and ceilings, and takes a beating and bounces back.